Scott’s Removals reserves the right to update the TOU at any time without notice. By using this website, you acknowledge and agree to these limitations as set forth. Scott’s Removals provides you with access to a variety of resources (“Services”) including general information, message and/or communication facilities, downloads, and calendars, etc. 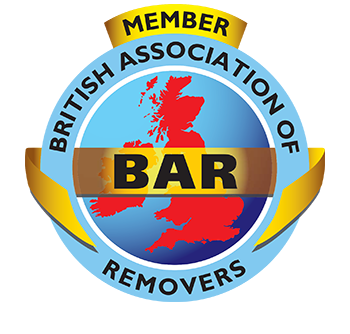 and may include a Members Only section that can be accessed only by Scott’s Removals staff and members. The Services, including any updates, enhancements, new features, and/or the addition of any new web properties, are subject to the TOU. Use of Scott’s Removals content (documents, white papers, graphics, logos, software, forums, polls, etc.) is for informational and non-commercial or personal use only. You may not modify any content, copy, distribute, transmit, display, perform, reproduce, publish, license, create derivative works from, transfer, post on any network, broadcast in any media or sell any information, software, products or services obtained from the Services unless expressly permitted by Scott’s Removals. Elements of Scott’s Removals websites are protected by trademark, unfair competition, and other laws and may not be copied or imitated in whole or in part. Content other than that belonging to Scott’s Removals is licensed or otherwise published by Scott’s Removalse with the permission of the owner of the material. All rights in such materials are reserved to the respective owners. Scott’s Removals makes no warranties or representations of any kind that the services provided by this website or any linked site will be uninterrupted, error-free, or that the site or the server that hosts the site are free from viruses or other forms of harmful computer code. All such information is provided “as is,” and with specific disclaimer of any warranties of merchantability, fitness for a particular purpose, title, or non-infringement. In no event shall Scott’s Removals, its agents, or anyone else who has been involved in the creation, production, or delivery of these pages, be liable for any direct, incidental, or consequential damages resulting from the use of this website or any linked site. With respect to goods or services purchased directly from Scott’s Removals through the website or otherwise,Scott’s Removals’ liability is expressly limited by its standard conditions of business which vary according to jurisdiction, customer and service type. Please enquire with your local office to discover which contract terms apply to you. Links to other websites do not imply an endorsement of the materials disseminated at those websites, nor does the existence of a link to another site imply that the organization or person publishing at that site endorses any of the materials at this site. Links to other websites are provided by Scott’s Removals as a convenience to its users. Scott’s Removals is not responsible for the materials contained at any website linked to this site. As a condition of your use of the Services, you will not use the Services for any purpose that is unlawful or prohibited by these terms, conditions, and notices. You may not use the Services in any manner that could damage, disable, overburden, or impair any Scott’s Removals website, or interfere with any other party’s use and enjoyment of the Services. You may not attempt to gain unauthorized access to any Services, computer systems or networks connected to any Cadogan Tate server or to any of the Services, through hacking, password mining or any other means. You may not obtain or attempt to obtain any materials or information through any means not intentionally made available through the Services. Provide links to files that contain viruses, Trojan horses, worms, time bombs, cancelbots, corrupted files, or any other similar software or programs that may damage the operation of another’s computer or property of another. Scott’s Removals reserves the right to review materials posted to the Communication Services and to remove any materials at its sole discretion. Scott’s Removals reserves the right to terminate your access to any or all of the Services at any time, without notice, for any reason whatsoever. Always use caution when giving out any personally identifiable information in any Services. Scott’s Removals does not control or endorse the content, messages or information found in any Communication Services and, therefore, Scott’s Removals specifically disclaims any liability with regard to the Communication Services and any actions resulting from your participation in any Communication Services. For comprehensive details of our complaints procedure please click here. Carefully moving and storing our customers in London and Essex at affordable prices.